The World Health Organization (WHO) has issued a statement saying they “could not cope” with the Ebola outbreak, and their response was “slow and insufficient.” The organization promised reforms to deal with such outbreaks in the future. “We have learned lessons of humility. We have seen that old diseases in new contexts consistently spring new surprises,” the statement said. “We have taken serious note of the criticisms of the organization that the initial WHO response was slow and insufficient, we were not aggressive in alerting the world,” the document added. The statement also focused on the fact that the organization “didn’t work effectively in coordination with partners,” and there were issues with risk communication, and with the distribution of roles and responsibilities. The document, dated April 16, wasn’t clear about its publication date, and it wasn’t sent in email alerts or posted on Twitter. In addition to admitting the failures, the WHO made a list of eight lessons learnt, mentioning in which areas their response should have been better. Those include, for instance, capacity in the face of a large-scale crisis, communication, and sharing resources and information. The WHO also pledged reforms to deal with a disaster of such scale in the future. “We will develop the capacity to respond rapidly and effectively to disease outbreaks and humanitarian emergencies. We commit to expanding our core staff working on diseases with outbreak potential and health emergencies so we will have at least [1,000] skilled staff always available at the three levels of WHO,” the organization stated. An additional 1,000 staff should be hired as a reserve force, plus the WHO plans to have a contingency fund. Also, they promised to put in place a stronger command structure, and more robust international health rules to ensure each country is ready for a crisis of a scale similar to the Ebola outbreak. 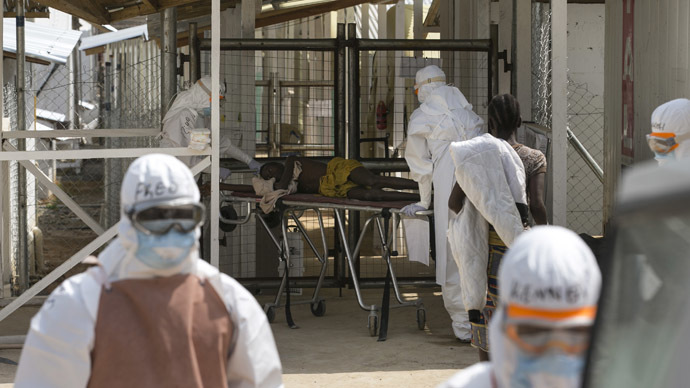 The WHO has been frequently criticized over its response to the epidemic, first of all, for its reluctance to declare the disaster an emergency, letting it grow into the worst Ebola crisis ever, with 10,000 deaths and over 25,000 cases. The hardest-hit were the West African countries of: Guinea, Liberia and Sierra Leone, with the majority of cases being reported there. However, other parts of the world were affected, including the US and Europe. The outbreak began in March 2014, and researchers from the New England Journal of Medicine traced it to a two-year-old toddler who died in southeastern Guinea in December 2013.